Loyalty programs are a game of trade offs. Go with one, you get this – go with the other, you get that. There’s no one size fits all, and there’s no correct answer for everyone, but every once in a while, an outside look at any loyalty proposition is worth a peek. Delta Skymiles is a very valuable loyalty program, but for many travelers, Virgin Atlantic’s Flying Club may make a lot more sense for their loyalty rewards. The first thing to know here, is that Virgin Atlantic and Delta have a really strong partnership. Delta owns 49% of Virgin Atlantic, and through some sneaky investments, may actually own a bit more. They’re deeply intertwined airlines and the benefits offered to customers of each others loyalty programs are very generous. Top elites on Virgin Atlantic receive SkyPriority and many of the other benefits offered to similar Delta customers when flying on Delta, just by entering their Virgin Atlantic frequent flyer number for Delta flights, rather than a Delta Skymiles loyalty account number. Depending on your rank with Delta, and your flying routes, switching to Virgin Atlantic could make perfect sense for your elite status, or no sense whatsoever – but when it comes to points, Virgin is almost undoubtedly the better option. Do you know how many miles you’ll need to redeem your Delta miles on a flight? The correct answer is no, because Delta removed the ability for anyone to see how many miles any flight on earth will require. Instead, the computer spits out a random number based on the day, date and cabin you wish to fly. It may be 85,000 points for one way business class to Europe, or it may be 225,000. You’ll never know. On the other hand, Virgin Atlantic Flying Club offers a published chart with rates you can actually understand. It’s just 50,000 miles and no surcharges to fly from the U.S. to Europe in business class one way, by the way. Similarly, Virgin Atlantic offers defined costs when using miles for Delta flights within the U.S. as well. A round trip between any two points in the USA will cost 25,000 points, and one ways are just 12,500. Delta now charges roughly double that for their own flights, using Skymiles. Do you enjoy paying double? Delta, American and United in the U.S each award points based on the price of the ticket, rather than the “old school” system of the actual distance flown. For those traveling on highly priced tickets, generally paid for by corporations, Delta’s money based system may have some travelers coming out ahead, but for a vast majority of travelers, moving around the world on “good deals”, Virgin’s system makes a lot more sense. Even the cheapest Delta tickets earn 50% of the miles actually flown, so a trip from New York to California would earn at least 2,500 Virgin miles round trip. A similar ticket on Delta may earn a fraction of that. You can also earn Virgin Atlantic miles flying on airlines like Singapore, ANA, Virgin Australia and Hawaiian, which gives travelers flexibility outside of the SkyTeam network. If you’re into free upgrades on short U.S. flights, you’ll unquestionably do better using the Delta Skymiles program, rather than Virgin Atlantic. You’ll also do better sticking with Delta if you’re a Delta Diamond Medallion, which earns global upgrade certificates you can use on any long haul flight. If however you’re a Silver Delta Skymiles member or below, you may find that the value of the miles, mixed with the decent Delta benefits, tips the value of your loyalty in favor of the far more lucrative points options with Virgin Atlantic. For example, 120,000 Virgin points is enough for round trip first class, from the U.S. to Japan on five star ANA. If you’re still looking to attain loyalty status with Virgin Atlantic, Gold is the only status really worth bothering with. Gold grants SkyPriority access on all Delta flights, while also earning status benefits on Singapore, Air New Zealand and more. To achieve Gold with Virgin Atlantic, you’ll need 1000 tier points in a year. For reference sake, long haul business class to Europe earns at least 100 tier points per segment, and 200 for many tickets, while domestic Delta flights in business or first class earn between 20-40, and economy flights earn between 5-50, depending on how far you go and what ticket you have. In case you haven’t yet clued in, the main reason for a Delta flyer to use the Virgin Atlantic loyalty program rather than Delta is about the value of the points you’ll earn. And since a majority of travelers earn far more points via credit card spending than actually flying, Virgin is an easier program to work with. Why, you might ask? Virgin Atlantic Flying Club points can be instantly created using Amex, Citi or Chase Points, making it one of the easiest programs to pool all your credit card points to. When you can pool your points from multiple sources, you can achieve points goals faster. What’s not to love? How do you feel about Virgin Flying Club versus Delta Skymiles? I put my Virgin Atlantic # in my Delta profile. How do I make sure flights are credited to VS instead of DL? Excellent points. Redeeming on VA can be very advantageous, especially hub to hub. Just booked JFK-MXP-ATL for 100K AMEX MR’s in Delta One. Delta wanted 165K and there was virtually no availability. Virgin didn’t have all that much either but it was more than zero. Taxes were roughly the same with a round trip booking. And no excise tax to transfer MR’s into Virgin’s Mileage Club either unlike moving them to SkyMiles. 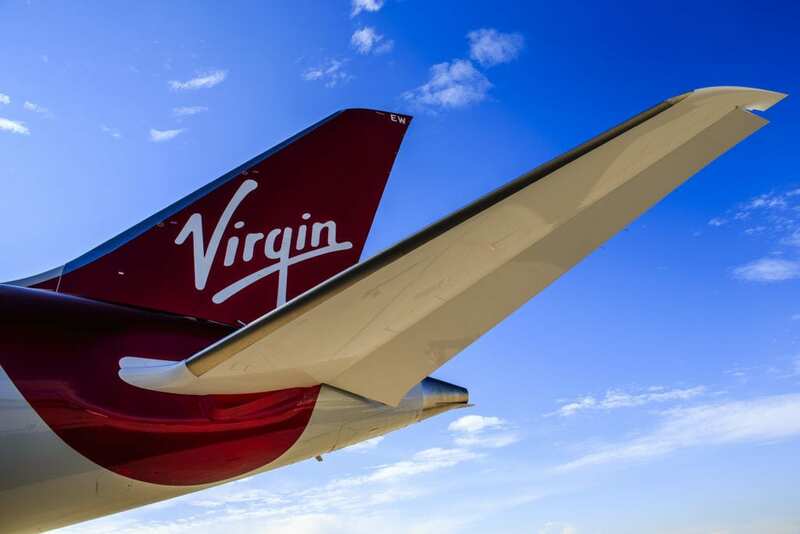 Are there virgin airline credit cards?